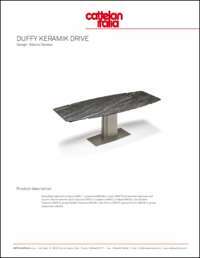 Extendible table with titanium, graphite or black embossed steel base and column. 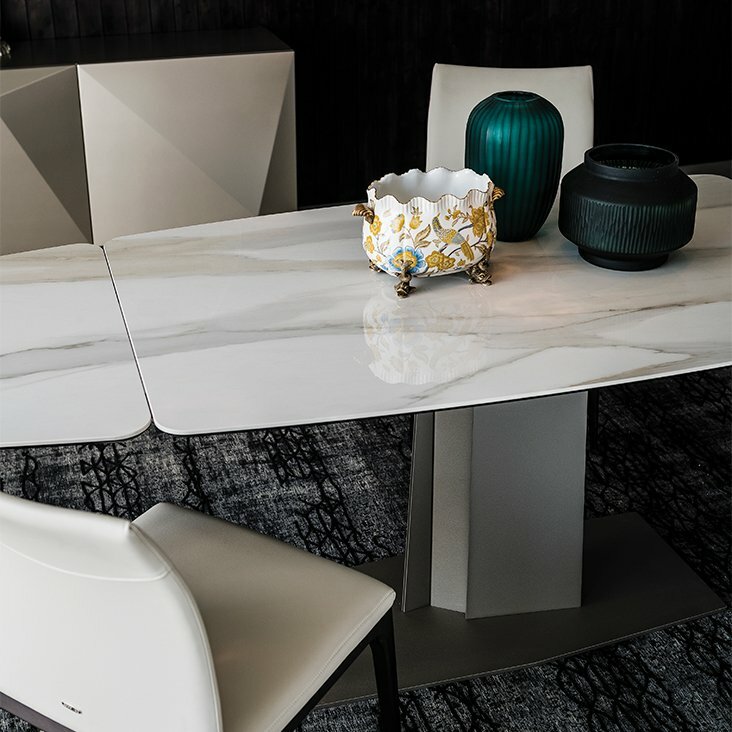 Marmi ceramic top in Calacatta, Alabastro, Ardesia, Matt Golden Calacatta, glossy Golden Calacatta, matt Portoro, glossy Portoro or glossy Sahara Noir. 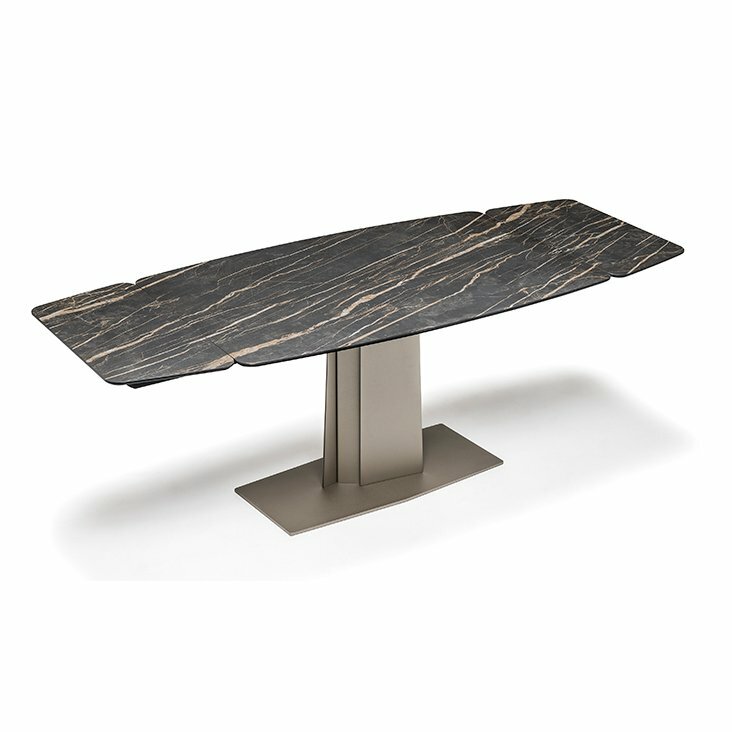 "Extendible table in graphite base with ceramic top. Please contact us for other variations"